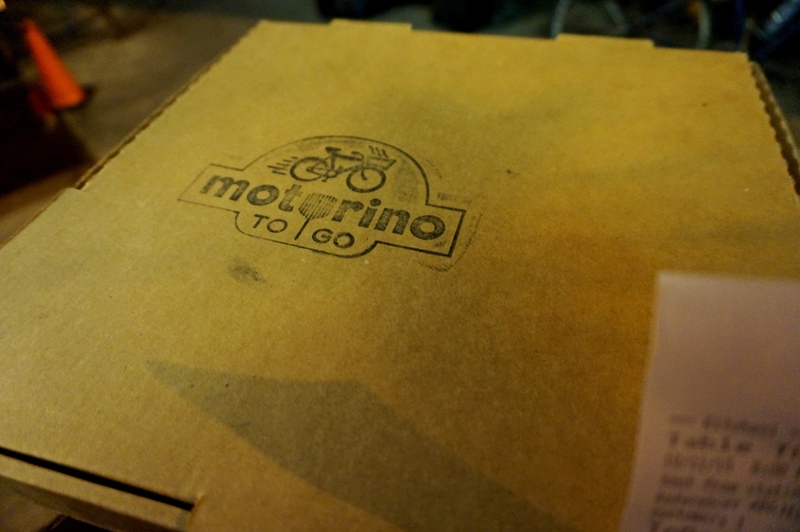 Motorino in Hong Kong is a vivid memory for me, it was a fantastic pizza and will always be remembered that way. Craving that feeling again and being in NYC, its origin, I went expecting similar greatness. I ordered the marinara, half with cheese and sausage; the best of both worlds. The place was ridiculously busy for a Sunday and the extended wait didn’t go unnoticed (that being said I’d just eaten at lobster and burger so It can be argued it’s not a bad thing). The pizza came out and I’d asked for it in a take away box to walk and eat (calories in, calories out). I enjoyed the pizza but not as much as I had hoped I would. 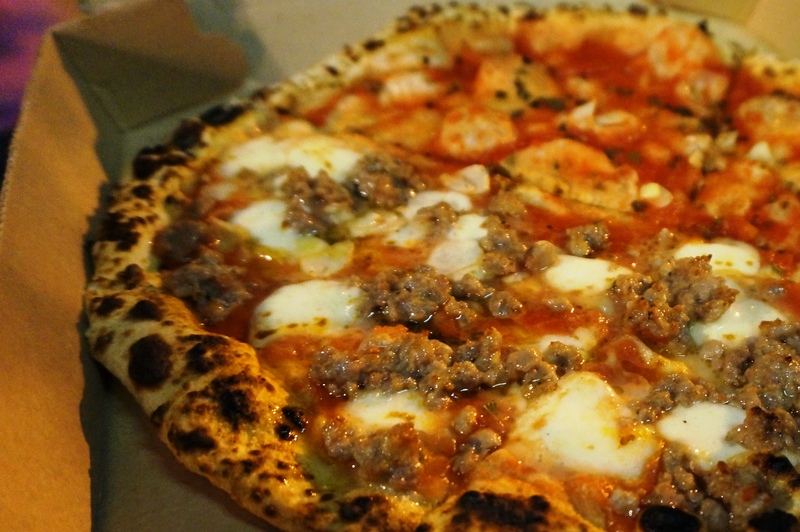 Don’t get me wrong it was a good pizza, it just fell short of the expectations brought on by the HK branch, for the price I think better pizza is around NYC, next time I’m there I’ll have to check out another place. 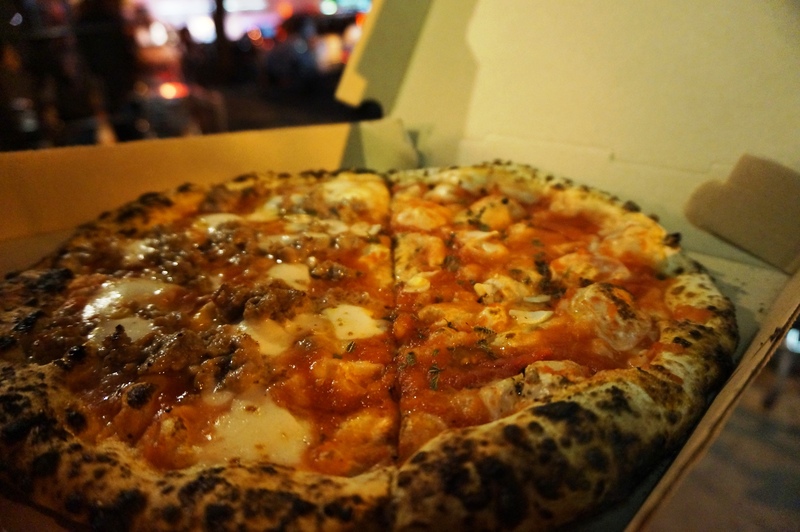 Posted on October 28, 2015 by AdrielPosted in New York, SteakLESS, United StatesTagged New York City, Pizza.